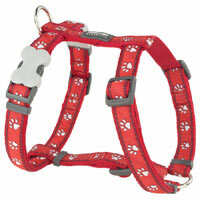 You may also want to add the matching collar and/or harness to your order. Dog lead by Red Dingo in Desert Paws Red design. Strong, comfortable and stylish. These leads are made from high density fray proof tough woven nylon for durability and reduced wear and tear. The padded around handle ensures maximum comfort for dog walkers. Matching collar and harness also available. 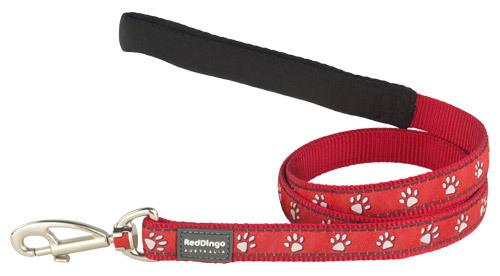 Red Dingo is an Australian company who have put together a wide variety of dog collars, leads, harnesses and ID tags to suit all kinds of dogs. All Red Dingo products are strength and safety tested to the highest quality standard in manufacturing terms, embracing design without ever compromising functionality. The designs have an authentic Australian street and surf style. Excellent quality lead Love the padded handle in black. Great product. This review has not received any votes yet.